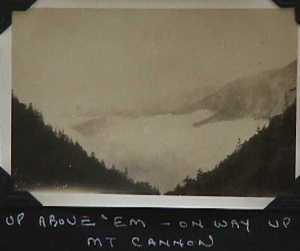 Cannon Mountain is named after a rock formation near the top that looks like a cannon. On a good day you can see it from the rest area at the base of the mountain with a strong pair of binoculars. There are a couple of large parking lots, a tram to the top and a ski area on the east side of the mountain by the parkway (I-93) and NH Route 3.